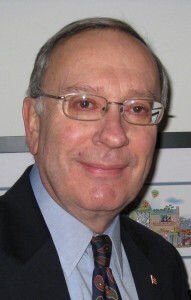 Carl F. Luft has been the Executive Director of the Delaware League of Local Governments since July 1, 2014. Prior to establishing his own consultant company, Mr. Luft was the City Manager of Newark, Delaware, for 21 years and City Manager of Canandaigua, New York, for more than 6 years. Prior to that, he was Assistant Manager of Mt. Lebanon, Pa. Mr. Luft was among the first group of city managers to have earned and be recognized as fully credentialed by the International City/County Management Association. Mr. Luft has 32 years of experience in local government and financial management. He also completed the General Electric Company corporate financial management program and, during his tenure as city manager for the City of Newark, he was a faculty instructor in the University of Delaware Graduate School of Urban Affairs and Public Policy. During his tenure in Newark, Mr. Luft led a renaissance of the City. The Police Department became nationally accredited, the bond rating was upgraded, Main Street/downtown was transformed, and capital investments flourished as the municipal growth rate reached 17.5%. Capital improvements under his direction included two new water treatment plants, a state-of-the-art police facility, new and restored public works and parks buildings, two-fold increase in electric substations, award-winning Hall biking and nature trail, and a 320 million gallon water supply reservoir. Mr. Luft guided the evolution and restructuring of the Delaware Municipal Electric Corporation. He served on the Executive Committee and Board of Directors and was the chief sponsor of the Corporation’s transition through deregulation of the industry. This included renegotiation of purchase power agreements and construction of a $35 million mid-load power generator. Mr. Luft has a Bachelor of Arts degree in Economics and a Master of Public Administration from the University of Pittsburgh. He has served on various Boards, volunteered in many community capacities, and received numerous state and local government recognitions and awards through the years. Mr. Luft has been an active member of ICMA, was past President of the City Management Association of Delaware and Delaware Association for Public Administration, and was recognized twice as City Manager of the Year by the Delaware League of Local Governments. Luft took over the helm from long-time League Director George C. Wright, Jr.